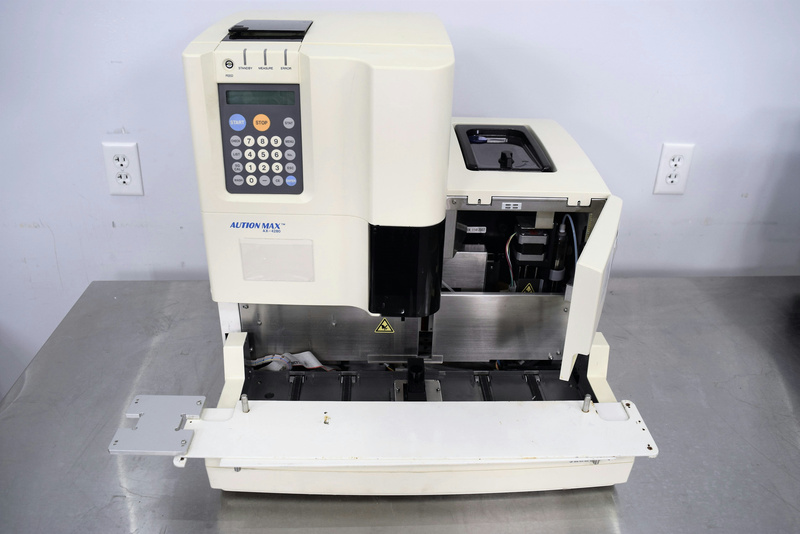 Arkray Aution Max AX-4280 Automated Urine Chemistry Analyzer S/N: 40709007 . New Life Scientific, Inc. This urine analyzer if rebuilt is an automated urine chemistry analyzer. It can be employed as a stand-alone system or connected to digital imaging system with a track. Otherwise is using for parts there are a lot of good parts still on this system. Our on-site technicians visually inspected the instruments but couldn’t run any tests. The system powers on but nothing appeared on the screen. It comes up with an error, they did manage to get the error to go away but nothing was still on the display screen. They concluded that is to be sold for parts or rebuild.